Catch a RISING STAR: This Cannabis Stock is the Only One You’ll Need! This is a fantastic time to be an investor. Opportunities like the one we’re seeing right now don’t happen very often – maybe once in a generation. With a team of experts who research hundreds of companies in the markets, Global Cannabis Wealth knows how to spot these early-stage movers. Finding the rising stars in the stock market, and reporting them to you so that you can make your move before everyone else piles on, is our calling and we’re proud to do it. Developing an eye for rising stars in the equities markets is a skill that takes years or even decades of study and experience. One consistent pattern that we’ve seen throughout the years is that fast-moving stocks are found in fast-moving sectors of the economy. For instance, Microsoft made outsized gains because the Internet was gaining acceptance and wide adoption by people and businesses; years later, Amazon stock shares made a huge move because the world was ready for e-commerce. We won’t be witnessing moves like that in Microsoft or Amazon this year, so investors need to think outside of the box and find other areas of the economy for really big moves. All indicators point to just one sector with the potential to produce the next Microsoft or Amazon: the legalized cannabis trade. The upside will be massive in legal marijuana sales and profits, and if you’re not investing now, you’re jeopardizing a rare chance to grow your account very quickly. Similar projections are found for the United States and other nations around the world. Licensed producers are cleaning up and raking in fantastic profits this year and will continue to reward investors as the market grows exponentially. If you’re going to maximize your returns, though, you’ll need to position yourself with the right company in the legal cannabis space. Global Cannabis Wealth’s stock selection process is very strict and we’ve been vetting every company out there. After all is said and done, there’s only one company that we feel 100% confident in presenting to you today. 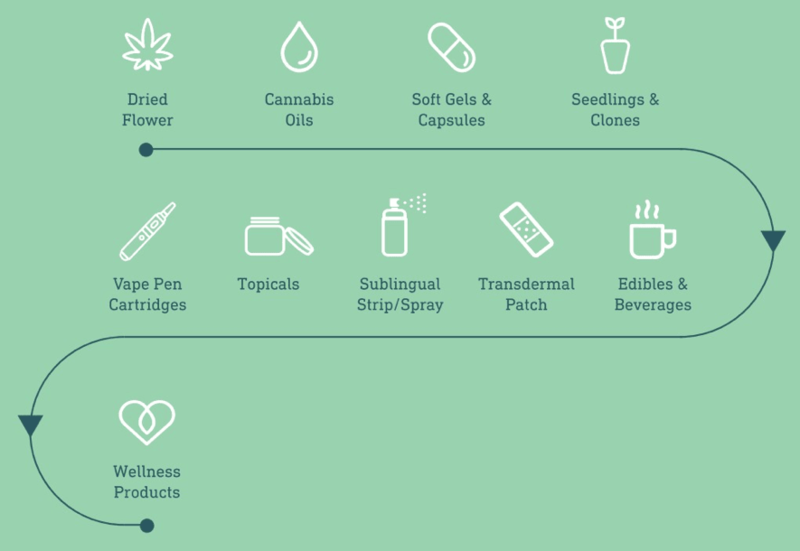 The company we’re investing in is Pure Global Cannabis Inc. (TSX-V:PURE, OTC:PRCNF), a pharmaceutical-grade, fully licensed producer of cannabis dedicated to developing new and innovative brands and products for discerning consumers worldwide. Even with all the research we did, no other licensed producer even came close to Pure Global Cannabis as an investment vehicle for the emerging legalized marijuana market. Investors should also know about Pure Global Cannabis’s mult-ponic cannabis farm, an absolute first in Canada. This multi-ponic farm has a proprietary grow system that combines the best-practices of hydroponics, aquaponics, and aeroponics, and has integrated this system with world-class commercial agriculture methodologies. By focusing their energy and inputs on growing only top-quality cannabis flower, Pure Global Cannabis’s multi-ponic farm setup allows for multiple tiers of canopy, and yields more than 3 times the product of a similar footprint without pesticides or herbicides. Global Cannabis Wealth has also discovered when it comes to producing and selling legalized cannabis products, nobody else is exporting, or can export, like Pure Global Cannabis does. The ability to export the product is a gigantic competitive advantage for Pure Global Cannabis, and is one of the biggest reasons to invest in this fast-expanding and forward-thinking company. We’re taking a big position in the legal cannabis industry with Pure Global Cannabis Inc. and shares of PURE/PRCNF. Catch this rising star in the legalized marijuana market and watch it go straight to the moon and beyond in 2018. This work is based on SEC filings, current events, interviews, corporate press releases and what we’ve learned as financial journalists. It may contain errors and you shouldn’t make any investment decision based solely on what you read here. It’s your money and your responsibility. Information contained in this profile was extracted from current documents filed with the SEC, the company web site and other publicly available sources deemed reliable. Never base any investment decision from information contained in our website or emails or any or our publications. Our report is not intended to be, nor should it be construed as an offer to buy or sell, or a solicitation of an offer to buy or sell securities, or as a recommendation to purchase anything. We have entered into a three year agreement with the company, purchased shares, and have received three hundred thousand dollars paid for directly by the company for digital marketing. The information herein is not intended to be personal legal or investment advice and may not be appropriate or applicable for all readers. If personal advice is needed, the services of a qualified legal, investment or tax professional should be sought. SHEDDING-OFF PREDATORS: Stocks Keep On COMING BACK! SOARING PROFITS: This is the One Cannabis Stock You Cannot Miss!